Patrons were alerted to the commencement of the theatre programs by the shriek of a steam whistle. 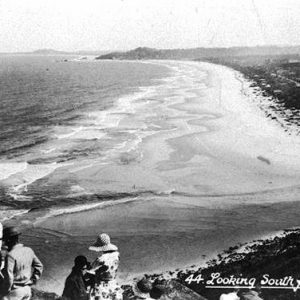 William Fradgley first settled in Burleigh Heads in 1917 and worked as a contractor. In April 1920, he applied to run a picture show and leased a site from Charles Justin in the vicinity of the corner of Connor Street and the Gold Coast Highway. He built an open air theatre and made numerous modifications. The open air theatre was powered for screening by a steam engine which drew water from a swamp near James Street. Conveniently, patrons were alerted to the fact that the theatre programs were about to commence by the shriek of a steam whistle. The projector was hand operated while a local painter, F. Cunliffe, played rolls on a pianola to provide musical accompaniment for the silent films. The films were transported by train from Brisbane to Southport, then down to Burleigh Heads by the Red Bus Service. They were delivered free of charge, and in return the drivers were given complimentary seats in the theatre. After the success of this enterprise, William decided to build a more modern picture theatre and dance hall. 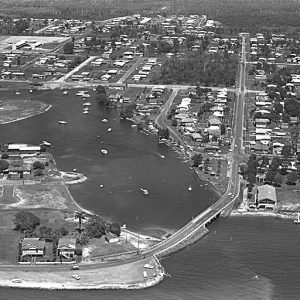 Plans for the new building were submitted at a meeting of the Nerang Shire Council on Saturday 31 May, 1930. The building was to be constructed of wood and iron, the floor of the picture theatre from concrete and the dance floor of timber. Seating for 1200 was to be accommodated for, as well as cloak rooms, dressing rooms, a supper room and shops located under a cantilevered awning at the front of the building. As Charles Justin did not wish to sell the site on which Fradgley Hall was built, William purchased half an acre of land, adjoining the former post office, in Goodwin Terrace and built the new theatre using material from his earlier hall. 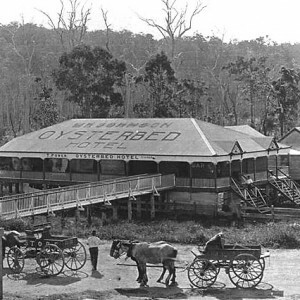 The De Luxe was officially opened on Wednesday 15 October, 1930 by Mr S. R. Andrews, Chairman of the Nerang Shire Council, and fellow councillors. The theatre was a family operation. The Fradgley family, including William’s wife Louisa and their three sons, Bill, Jack and Tom and daughter, Betty were all involved in the operation of the theatre. The De Luxe was also the venue of balls, dances, celebrations, singing, meetings of local organisations, roller skating competitions and indoor sports such as hockey. 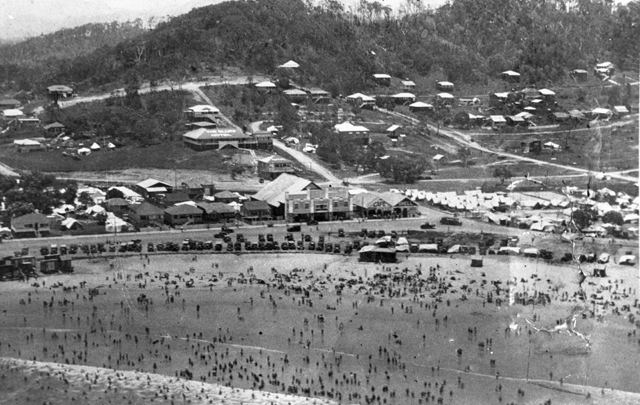 Before the construction of the Infant Saviour Roman Catholic Church, religious services were held in the De Luxe each Sunday morning by parish priest, Father Leo Carlton, who would travel from Coolangatta to conduct the morning service. 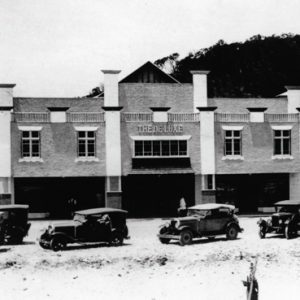 In December 1930 the theatre was the venue for a dance and euchre party organised by the Burleigh Progress Association and Nerang Shire Council to celebrate the switching on of electric lighting in Burleigh Heads. In September 1931, the first talkie was shown in the De Luxe Theatre. 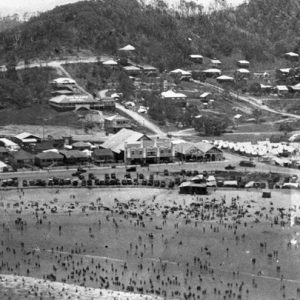 The De Luxe experienced an increase in business during World War II after the establishment of the Australian army convalescent camp at Tallebudgera and the American convalescent camp at West Burleigh. Instead of pictures being shown twice a week, they were shown seven days a week. In February 1945 William leased the theatre to the Thams Brothers which had been established by Lorenz and Charles Thams in 1912. 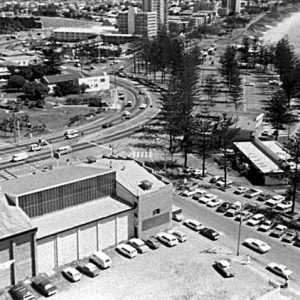 The Thams family were also contractors and early cinema pioneers on the Gold Coast and, at various times, had owned or leased other theatres including the Regnant (also known as the Regent), Pier Theatre, Sundale and Drive-in theatres in Southport and the Grand Theatre in Labrador. 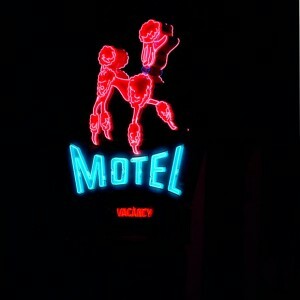 In 1950, the Thams Brothers purchased the De Luxe. 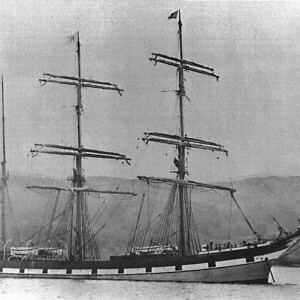 On Friday 19 and Saturday 20 February 1954, Burleigh bore the brunt of a cyclone, and the De Luxe was severely damaged with sections of the roof and sides torn off. Despite this, the theatre was operating as a ‘semi-open-air’ venue four days later with a screening of The Silver Whip while repairs were underway. Following the cyclone, a modernised brick De Luxe Theatre was constructed by the Thams. It included a house and six flats on the top storey and shops on the ground floor. The Thams ran the theatre until 29 June 1966 before it was sold. The theatre was subsequently remodelled in the 1970s and converted into a retail and dining premises known as the Old Burleigh Theatre Arcade. This Gold Coast Story was researched and written by staff at the Gold Coast Local Studies Library. 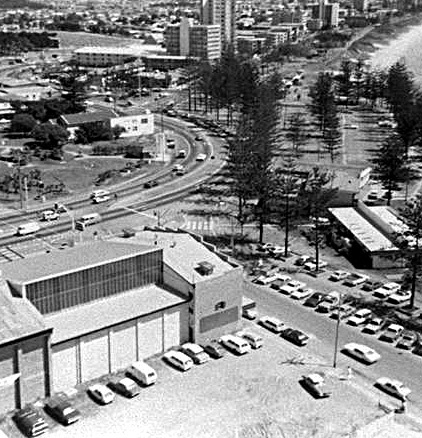 Fradgley…Synonymous with theatres at Burleigh Heads (1977, June 2). Gold Coaster/Daily News, p. 53. Longhurst, Robert. 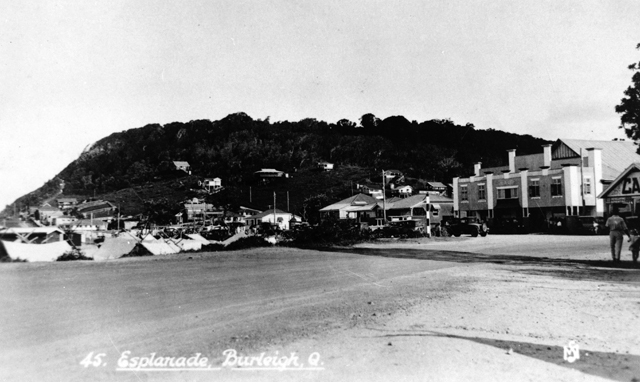 The heart of paradise: the history of Burleigh Heads. 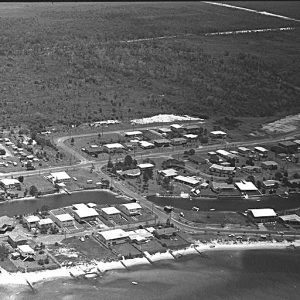 Gold Coast: Gold Coast City Council, 1991. Brothers ruled flicks (2009, June 25). Gold Coast Bulletin, p. 17. A seaside way of life (2004, October 23). Bulletin Weekender, p. 7.